When we think of different sports that can be used as parts of a regular fitness routine, golf doesn’t always come to mind. Instead, we tend to think of more rigorous sports that make you build up a sweat faster. We recently wrote about the numerous health benefits of playing soccer, but the good news is you never have to pick just one sport or activity to focus on. That’s why we’d like to discuss one sport that doesn’t always get its due. 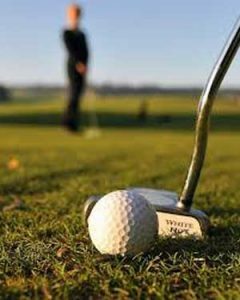 Golf may not involve sprints or physical contact, but it’s accessible, relaxing, and surprisingly demanding on the body. If you have any curiosity about getting into the game, it can make for a great new addition to your fitness routine this year. As with most everything else in life, the internet has made finding golf instruction easier than ever. You no longer have to inquire at a local course or country club or do sketchy research on Craigslist to try to find a golf coach. Instead, there are tailored search tools online that cater not only to your level of play but also your location and course preferences. As Play Your Course demonstrates in a video about locating an instructor, just a few quick questions about your preferences can now get you paired with a local coach suited for your level and able to work with your schedule. This makes a sport that used to be somewhat exclusive more accessible than ever. Before we get into the specific fitness perks of playing a more golf, it’s worth mentioning that there are some pretty serious general wellbeing benefits as well. The Huffington Post notes a study that found that regular playing has been found to prevent chronic illness, improve mental health, and even increase life expectancy. In large part, these findings come down to some of the physical benefits of playing the sport. It’s also been suggested that playing the game can reduce the risk of anxiety or depression. 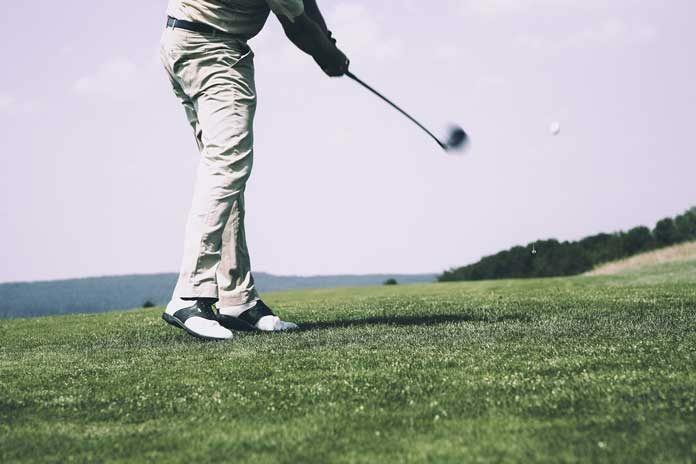 In an outline of all the possible health perks associated with golf, Health Fitness Revolution declared that a golfer who walks the course, instead of using a cart, can burn up to 1,000 calories in a single game. Honestly, that estimation might be a little bit low. Walking the course can mean about three to five miles’ worth of activity over a couple of hours. And even those who use golf carts usually get in a few miles. All of this walking, in addition to swinging the club some 70-120 times (depending on how well you’re playing), winds up being a significant and steady cardio workout that keeps your heart rate up for an extended period of time. If you’re looking to diversify your fitness routine by playing a sport, golf is about as harmless as it can get while still providing you with a legitimate workout. Playing contact sports opens you up to all sorts of injury, and even another individual sport like tennis carries a greater risk of pulling a muscle or turning an ankle. That’s not to say an injury can’t happen on the golf course, but you’re generally less likely to suffer any sort of health setback.